As a Member State of the European Union, Belgium has transposed into its national2 legal order the many EU directives adopted in view of harmonising intellectual property law to an ever-increasing extent. The rules on patents, plant variety right, copyright3 and neighbouring rights (performers, broadcasters, film and phonogram producers), database right and topographies of semi-conductor products, now enshrined in Book XI of the Belgian Code of Economic Law (CEL), implement these directives but still diverge from the law of other EU countries on many aspects as EU harmonisation remains incomplete to date. As far as trademarks and designs are concerned, the law of Belgium has been unified with that of the neighbouring countries of the Benelux Union (i.e., the Netherlands and Luxemburg) and the main governing text is, hence, the Benelux Convention on Intellectual Property (Trademarks and Designs) of 25 February 2005. Under this unified system, a trademark, or design, may only be registered, assigned, cancelled or forfeited for the three countries together (Benelux trademark; Benelux design). An alternative, though, is to apply for the registration of an EU trademark, or Community design, on the basis of respectively Regulation 2017/10014 or Regulation 6/2002,5 which have direct effect in all EU Member States: this allows the applicant to obtain a single IP right with uniform effect throughout the vast territory of the European Union (28 countries, 27 after Brexit). The same possibility – in terms of the scope of protection – does not yet exist for patents, although change appears to be on the horizon with the Unitary Patent Convention, as explained below. Be that as it may, the European Patent Convention provides for an intermediate solution through single application and examination procedure for the granting of a bundle of national patents. Finally, Belgium is a signatory to several significant international treaties and conventions, which have influenced the national law and are sometimes directly applicable.6 Depending on where protection is sought, and for which type of IP rights, either Belgian, Benelux, European (whether EU or EPO)7 or international tracks (PCT, Madrid or The Hague) are available for the registration of IP rights. The Belgian Office of Intellectual Property issues patents without a prior substantive assessment of patentability conditions; it only controls whether the formal requirements are met and the applicable fees paid. Thus, all patent applications are granted in a somewhat automatic procedure12 and Belgian patents are issued in a fairly short period of time (20 months), though they are not a guarantee of quality. That being said, the protection of inventions on the territory of Belgium is most often obtained through the European (EPO) track. The European Patent Convention13 (which is an ad hoc international treaty and not an instrument of EU law) makes it possible to obtain patent protection in up to 40 European countries through a single application and (partly) centralised prosecution procedure. Once granted by the EPO, the European patent (EP) is merely ‘validated’ in each, or some, of these countries (including Belgium) following the payment of a fee and, as the case may be, a provision for the translation of the EP.14 The European route is therefore longer but the resulting patent is stronger once granted. processes for modifying the genetic identity of animals that are likely to cause them suffering without any substantial medical benefit to humans or animal, and also animals resulting from such processes. Finally, methods for treatment of the human or animal body by surgery or therapy and diagnostic methods practised on the human or animal body are not patentable;23 this exclusion, however, does not apply to products, in particular substances or compositions, for use in any of these methods. The most frequented venue for IP enforcement remains the ordinary courts deciding in civil matters. There are no administrative routes to be considered in Belgium, except in the case of a threat of importation into the European Union of counterfeit or pirate goods. Many of these goods are entering the European Union through the major harbour of Antwerp (the second sea harbour in Europe by size), and to a lesser extent through Belgian airports, and the Belgian customs authorities have proved very keen to intercept such imports: in 2016, they were responsible for almost one-third of the 63,000 customs interventions that took place in Europe (10 per cent in terms of value of the seized products). Criminal proceedings are also available, though less common. Belgian courts, like other national courts in Europe, are, however, not competent to decide on the validity of foreign patents, even where issued from one and the same European patent procedures (and thus with identical claims);27 in this respect, the courts of the state of registration have exclusive jurisdiction (Regulation 1215/2012, Article 22).28 Moreover, the courts of the Member State of the defendant do not have jurisdiction to decide (on the merits) on the alleged infringement, by companies of the same group, of foreign extensions of the same European patent.29 This is an obstacle to the enforcement of European patents. The UPC would have a local division in Belgium. Before bringing an action on the merits before court, the owner of IP rights may, on the basis of an ex parte application (i.e., without summons),32 ask the president of the competent court (for patent owners this will be the commercial court of Brussels)33 to order a seizure of counterfeit matter against the alleged counterfeiter.34 This constitutes an effective measure to gather evidence of a suspected IP infringement. In such proceedings, an expert (e.g., a patent attorney) will be appointed by the judge and will receive the mission of describing any objects, elements, documents or processes that could establish the existence of the infringement as well as its origin, destination and scale. To that end, the expert, accompanied by a bailiff and, as the case may be a locksmith or the police, will be entitled to enter any premises determined by the court, access computer systems, ask questions, take samples, etc. In principle, two conditions must be cumulatively met; on the one hand there must be a ‘seemingly valid’ patent and on the other hand, there must be an ‘indication’ that there is (a threat of) an infringement of this patent. The second condition for being authorised to seize counterfeit goods (i.e., the existence of indications of infringement) has likewise been interpreted more restrictively in recent years, following the INEOS case.37 In this respect, it is not sufficient that someone has opposed the patent to demonstrate that this person is using (or will use) the invention and, hence, infringes (or will infringe) upon the patent. Although the purpose of the descriptive measures is to obtain evidence regarding an alleged infringement, concrete indications will already be required to be authorised to collect evidence through a seizure of counterfeit matter. In the event of a process claim patent in particular, this can be rather difficult. The choice of the appropriate court within Belgium to enforce IP rights (or to request a declaratory judgment) has been simplified a few years ago: only the Commercial Courts of Brussels (and, at the appellate level, the Court of Appeal of Brussels) now have jurisdiction regarding patent, as well as EU trademarks and community designs cases. Copyright and Benelux trademarks and designs disputes, like unfair competition cases, may still be litigated before (four) other courts. This centralisation of IP litigation aims to enhance the specialisation of the judges, but this has so far not proven very successful because of the significant judicial backlog in Brussels, especially before the Court of appeal. A patent infringement case will often start with a seizure of counterfeit goods as described above, aimed at collecting evidence of the suspected infringement. In addition to such evidentiary measures, the right holder may also request the court, by the same petition – and thus ex parte – to authorise the actual seizure of all goods suspected to be counterfeited or to prohibit the seized party from moving, altering or disposing of such allegedly infringing goods. For such measures to be warranted, a higher threshold must, however, be met; not only must the invoked IP right be apparently valid but the infringement should not be reasonably contested. A balance of interests should, moreover, be made, also taking into account the general interest of the public. Following reception of the expert report, or as the case may be, right from the start (in absence of a preliminary seizure in matter of counterfeit), a right holder will consider filing an action on the merits against the alleged infringer. Such action may be brought either before the ordinary chamber of the Commercial Court (where two lay judges will assist the professional judge) or before the President of the Court, as in summary proceedings. The latter option is a real Belgian speciality since, like some of our praline chocolates, it is the best of two worlds: it is a summary procedure (i.e., fast and simple) but it leads to a decision on the merits, judgment (i.e., a decision endowed with res judicata. This specific avenue may only be used to obtain an injunction (and possibly the publication of the judgment), and is therefore referred to as the cease and desist action. If the right holder wishes to obtain damages (or a measure of confiscation or the transfer of the counterfeiter’s profits), it has to revert to the ordinary proceedings (which may also be triggered at a second stage, after the cease and desist action; the ordinary court is then bound by the decision of the president of the court regarding the existence of the infringement). A drawback of the cessation action before the president of the court is the possibility for the defendant to file a counterclaim for revocation or limitation of the patent (be it a Belgian or the local extension of a European patent); such prerogative is not reserved to the full chamber of the Commercial Court. For this reason, patent owners – unlike copyright and trademark owners – tend to privilege ordinary summary proceedings (not ‘like’ in summary proceedings). In this case, the president of the court, provided urgency is established (e.g., because the allegedly counterfeited drug is about to be put on the market),38 may take a provisional decision on the basis of the appearance of right. This parallel action results in a kind of (factual) bifurcation between the assessment of infringement (in summary proceedings) and that of validity (by the ordinary court). Nevertheless, similarly to what has been observed for the seizure in matter of counterfeit, the courts tend to be a little bit more reluctant to grant injunctions when the validity of the patent is uncertain due to decisions taken abroad or by the opposition division of the EPO. The courts generally follow a four-step process to determine whether or not there is patent infringement. Typically in patent law, defendants shall dispute the validity of the patent: challenging its novelty, non-obviousness or other characteristic. These defences will not be presented as they are common across all EU Member States. Here below are presented some particularities of the Belgian context. A seizure of counterfeit goods allows the right holder to obtain first evidence of the infringement (through the bailiff report) within two weeks, and a more extensive report within two months. For cease-and-desist proceedings, an injunction will typically be obtained in three to nine months following the service of the writ of summons. As far as preliminary orders are concerned, the duration of the proceedings may even be reduced to (possibly) two months. A fully fledged procedure on the merits will not take much more time, say one year, unless the parties agree to split the legal questions to be decided (jurisdiction, validity, infringement, damages) or an expert report is ordered (hearing of witnesses is exceptional). Injunctive relief is the first remedy requested by patent owners, generally, as explained above, in summary proceedings. Damages are available but may only be compensatory in nature; no liquidated damages are available, although a transfer of profits may be ordered, exceptionally, in the case of bad faith infringement. Attorneys’ fees have to be borne by the unsuccessful party but, in principle, only up to a limited amount (about €12,000) determined by a Royal Decree (flat-rate scheme). However, in United Video Properties v. Telenet, the CJEU held that Directive 2004/48/EC on the enforcement of intellectual property rights precludes national legislation providing flat rates that, due to the maximum recoverable amounts being too low, do not ensure at the very least, that a significant and appropriate part of the reasonable costs incurred by the successful party are borne by the unsuccessful party.62 This paves the way to a greater recovery of lawyers’ fees in IP, and in particular patent, cases. Both judgments and preliminary orders may be appealed (in patent cases, before the Court of Appeals of Brussels). Except for cancellation and revocation decisions, the appeal has, however, no suspensive effect: enforcement is possible pending and despite the appeal, at the risks and perils of the enforcing party. Against the decisions of the courts of appeal, a recourse is available before the Court of Cassation (judicial review). Oppositions against the grant of a European patent or the registration of a trademark are possible, respectively at the European patent Office, at the Benelux Office for Intellectual property (Benelux trademarks) or at the EUIPO (EU trademarks). Belgian patents are granted without any examination by the Belgian IP Office and no opposition is therefore available (only cancellation, or limitation, by the Commercial Court of Brussels is possible). Likewise, designs rights are not subject to opposition proceedings. Arbitration is possible but in practice mainly resorted to in disputes between licensors and licensees, or in other contractual disputes. The main major development expected in the future is the entry into force of the UPC Agreement and of Regulation 1257/2012 making it possible to give unitary effect to a European patent, see Section IV.ii above. Unitary effect means that such patents would not have to be validated and translated in all individual countries designated in the European patent: one single valid right, with the payment of one fee, would operate for all the EU Member States participating in the system (as of today, 25 countries). 1 Bernard Vanbrabant is of counsel and Erika Ellyne is a junior associate at Liedekerke Wolters Waelbroeck Kirkpatrick. The authors wish to thank Dorien Taeymans, Laura Tielemans & Peter Decru, colleagues at Liedekerke, for their help in the preparation of this contribution. 2 Where the subject matter is entirely covered by Benelux law, the transposition occurred in the Benelux Convention (see below). 3 Under Belgian law (Book XI, title 5 CEL), and in conformity with Article 5(2) of the Bern Convention, no formalities are required to enjoy protection of author’s rights. The author of literary or artistic works enjoys immediate protection as of the creation of the work, on the condition that the work is original, up to seventy years post mortem. The protection consists of property and moral rights. 4 Regulation (EU) 2017/1001 of the European Parliament and the Council of 14 June 2017 on the European Union trademark. Regulation (EU) 2017/1001 confers exclusive rights in all current and future EU Member States. An EU (or Benelux) trademark can consist of signs, words, designs, letters, numerals, colours, shape or packaging of goods, or sounds that are able to distinguish the origin of goods or services and that determine the subject matter of the protection in a clear and precise way. Even though the European track provides for a single request and procedure, due to the principle of uniqueness, a registration can be blocked by a single problem in one of the EU Member States. The registration is to be filed with the European Union Intellectual Property Office (EUIPO) and may be refused based on absolute grounds of refusal, for example, in case the sign is too descriptive, or on relative grounds, upon valid opposition by third parties. 5 Regulation (EC) 6/2002 of 12 December 2001 on Community designs. 6 To name but a few, Belgium is a party to the Paris Convention for the Protection of Industrial Property (Stockholm Act, 1967), the Bern Convention for the Protection of Literary and Artistic Works (Paris Act, 1971), the Agreement on Trade-related aspects of Intellectual Property Rights (TRIPS), the Patent Cooperation Treaty, the Madrid Agreement, and Protocol, concerning the international registration of marks, the Hague Agreement concerning the international registration of industrial designs, the WIPO Copyright Treaty and the WIPO Performances and Phonograms Treaty. 7 European Patent Office: see Section III. 8 This judgment is referred to under Section IV.ii below. 9 This development is commented in more details under Section IV.iii below. 10 We refer in this respect to The Trademarks Law Review. 11 Regarding development (d), the evolution was triggered by a judgment of the Court of Justice of the European Union, which had found Belgian legislation on photocopying (‘reprography’) to be irreconcilable with Article 5(2) of EC Directive 2001/29 on the harmonisation of certain aspects of copyright and related rights in the information society, in that it made no distinction, as regards fair compensation, between the making of reproductions by natural persons for private use and the making of reproductions by other categories of users or by natural persons for ends that are directly or indirectly commercial, although the harm caused to the right holders is different. Indeed, in both situations, a levy on the users, proportionate to the number of copies made, was cumulated with a lump-sump levy to be paid, without any reimbursement possibility, by the manufacturers and importers of machines (copiers and all-in-one devices): see Hewlett-Packard Belgium v. Reprobel, CJEU, 12 November 2015, Case No. C-572/13. In March 2017, the Belgian system of remuneration in case of reprography was adapted to make it (hopefully) compatible with EU law. In particular, the lump sum, ex ante, levy on manufacturers and importers was abandoned and the remuneration for publishers is now distinct from that for authors (see Article XI.239 and XI.253, §3, CEL as amended by the Act of 22 December 2016 and the Royal Decree of 5 March 2017 regarding the remuneration of authors and publishers, respectively). On the other hand, various cases are pending before the Belgian courts whereby manufacturers and importers claim refund to the collecting society Reprobel, which in turn asks the Belgian states to hold it harmless. 12 That being said, an anteriority search is conducted, and an opinion on patentability is provided, by the European Patent Office (EPO) acting on behalf of the Belgian Office. This report and opinion are communicated to applicants, who can than assess and determine for themselves, whether they would like to request issuance of the patent, possibly after narrowing their claims. It is also important to keep in mind that the report and opinion are publicly available to third parties. 13 The European Patent Convention of 5 October 1973 as revised on 29 November 2000[ (EPC). 14 In Belgium, translation is required only for those EP’s issued in English, because French and German, the other working languages of the EPO, are official languages of Belgium. Since a judgment of the Belgian Constitutional Court of 16 January 2014 (No. 3/2014, Biopheresis v. Belgian State), the three-month deadline for providing such translation is not sanctioned anymore by the automatic and definitive forfeiture of protection in Belgium. 15 Article XI.3 CEL (Code of Economic Law). 16 Preparatory materials of the Belgian Patent Act of 28 March 1984, Doc. Parl., Senate, session 1983–1984, No. 545/2, p. 4. 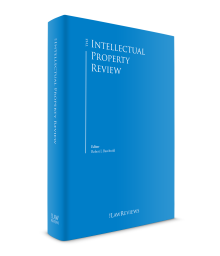 17 Ellyne, ‘Patent Eligibility – the Sick man of Patent Law’, in Access To Information And Knowledge: 21st Century Challenges in Intellectual Property and Knowledge Governance. ed. Dana Beldiman. Edward Elgar, 2013. p. 139–163 (Elgar Intellectual Property and Global Development series). For an application in recent Belgian case law, see Pres. Comm. Antwerp, 15 October 2013, ICIP 2013, 751. 19 EPO Guidelines of Examination, Patentability Part G, chapter II, 3.6, https://www.epo.org/law-practice/legal-texts/html/guidelines/e/g_ii_3_6.htm. 20 This exclusion, however, does not apply to microbiological processes or the products thereof. 21 See Article XI.5 CEL transposing Article 5 of the Biotech Directive. 22 Article 53 EPC; Article XI.5 CEL. It is clarified, however, that such exploitation shall not be deemed to be so contrary merely because it is prohibited by law or regulation (in some or all of the Contracting States). 23 Article 53(c) EPC; Article XI.5, §7, CEL. 24 As far as EU trademarks and Community designs are concerned, the domicile or the establishment in Belgium of the claimant may also secure jurisdiction of Belgian courts (in Brussels) if the defendant is based outside the EU (e.g., a US company). 25 When the defendant has its domicile or registered offices in the EU, this alternative forum is based on Article 7(2) of Regulation (EU) No. 1215/2012 of 12 December 2012 on jurisdiction and the recognition and enforcement of judgments in civil and commercial matters; when the defendant is based outside the EU, the same result is reached through Article 86 of the Belgian Code on International private law. 26 Hi Hotel HCF Sarl c. Uwe Spering , CJEU, 3 April 2014, C-387/12 (copyright) ; Peter Pinckney c. KDG Mediatech, CJEU, 3 October 2013, C-170/12 (copyright) ; Wintersteiger v. Products 4U Sondermaschinenbau, CJEU, 19 April 2012,. C-523/10 (trademarks); Pez Hejduk v. EnergieAgentur, CJEU, 22 January 2015, C-441/13 (copyright, online infringement). For a general comment in the field of copyright, see Vanbrabant & Wautelet, ‘Territorialité et droit international privé’, in 20 ans de nouveau droit d’auteur, Anthemis, 2015, p. 327–381. 27 GAT v. LuK, CJEU, 13 July 2006, C-4/03 (rule applies also when invalidity is requested by way of counterclaim). 28 Regulation (EU) No. 1215/2012 of the European Parliament and of the Council of 12 December 2012 on jurisdiction and the recognition and enforcement of judgments in civil and commercial matters. 29 Roche Nederland v. Primus, CJEU, 13 July 2006, Case No. C-539/03. 30 The text of the UPC Agreement is available at https://www.unified-patent-court.org/sites/default/files/upc-agreement.pdf. At the date of finalizing this contribution (31-03-2018), ratification by Germany and the UK, which are a condition precedent for the entry into force of the UPC, have not yet taken place. As a matter of fact the perspective of Brexit has created even more uncertainties regarding the outcome of the UPC project. 32 Only a third-party opposition is available to the latter, after the order being served on him and the seizure having taken place. During the seizure in matter of counterfeit, the expert must take adequate measures to protect the legitimate interests of the visited party and, in particular, to prevent the undue divulgation of confidential information. 34 This procedure is described in Articles 1369 bis/1 – 1369 bis/10 Belgian Judicial Code. 35 In Eurogenerics/Lundbeck (Court of Cassation, 24 June 2013, C12.0450.F/1, Eurogenerics v. H. Lundbeck A/S & Lundbeck), for example, it concerned the prima facie validity of a supplementary protection certificate that was declared invalid by a national judge. As an appeal against this decision was launched and such appeal had suspensive effect, the Court of Cassation agreed with the court of appeal that deemed the certificate to be seemingly valid. 36 A recent example of the application of this in concreto analysis is the decision of the Presiding judge of the Comm. Court of Brussels in the Sandoz/AstraZeneca case: Presiding judge of the Comm. Court of Brussels, 11 March 2016, ICIP 2016, ed. 2, 389 et. seq. 37 Court of Cassation, 26 November 2009, Case No. C.08.0206.N, Ineos Manufacturing Belgium et crts., Ineos Services Belgium v. Chevron Phillips Chemical Company LP (CP CHEM). 38 Unlike in other jurisdictions the President of the commercial court deciding in summary proceedings will not make the grant of an injunction dependent upon the demonstration, by the patent owner, that damages obtained in proceedings on the merits would not constitute a satisfactory remedy. 39 Article XI.29 CEL & Article 25 UPC Agreement (the latter not yet in force). 40 The Belgian Constitutional Court has recently held that this (double) territoriality requirement does violate neither the principle of equality before the law (product v. process inventions patentees) nor the protection due to the fundamental right of property: see Const. Court, 28 September 2017, case No. 105/2017. 41 Article XI.29 CEL & Article 25 UPC. 42 A decade ago, the Court of Appeal of Antwerp made a rather extensive application of this provision by applying it to the commercialisation by coffee manufacturers of coffee pads intended for use in the (at the time patented) Senseo machine: judgement of 8 November 2005 (comp., in the Netherlands, Hofs’-Gravenhage 6 June 2002, I.E.R. 2003, p. 55 and Hoge Raad (Supreme Court), 31 October 2003, B.I.E. 2004, 47). Netherlands). 43 Article XI.29 CEL & Article 26 UPC. 44 Article XI.28 CEL and Article 69 & Protocol of the EPC. 46 Court of Appeal of Brussels (8th ch.) 28 April 2009, ICIP 2010, 545. 47 Court of Appeal of Brussels, 28 April 200, cited above; Comm. Court Antwerp, 3 April 2009, Case No. A/08/01025. 48 Court of Cassation (1st ch. ), 12 March 2015, Case No. C.14.0098.F, Saint-Gobain Isover G+H (Grünzweig + Hartmann), Saint-Gobain Construction Products Nederland v. Knauf Insulation, p. 11. 49 Court of Cassation, 12 March 2015, cited above. 50 Presiding judge of the Comm. Court of Liège, 28 June 2012 ICIP, 2012, 97. 51 Court of Cassation (1st. ch. ), 12 March 2015, Case No. C.14.0098.F, Saint-Gobain Isover G+H (Grünzweig + Hartmann), Saint-Gobain Construction Products Nederland v. Knauf Insulation, p. 11–12; Remiche & Cassiers, op. cit., p. 420–422. 52 Court of Appeal of Brussels, 8 April 2004, JLMB 2004, p. 881. 53 Court of Appeal of Mons (1st ch.) 2 December 2013, ICIP 2014, Book 3, 417. 54 Remiche & Cassiers, Droit des brevets d’invention et du savoir-faire – Créer, protéger et partager les inventions au XXIe siècle, 2011 (Larcier), p. 420–422. 55 Court of Cassation, 12 March 2015 (cited above), p. 22. 56 Court of Appeal of Ghent, 14 February 2005, IRDI 2005, p. 296. 57 For exact scope see Article 27 UPC. 58 When transposing the Biotechnology directive, the Belgian legislator adopted a particularly broad formulation to this exception (Doc. Parl., Ch., sess. ord. 2004- 2005, Doc. 51, No. 1348/006, p. 12; Doc. Parl., Ch., sess. ord. 2004–2005, Doc. 51, No. 1348/006, p. 59–60). It applies to all ‘scientific purposes’, rather than solely experimental purposes. And moreover, unlike most European Member States, where this exception has been limited to experimentations carried out on the subject matter of the invention, the Belgian exception does cover such cases where the invention is used as a tool for experimentations uses of the invention. Thus, as a consequence toolbox patents (where the invention is a used as a tool for scientific research) are ineffective in Belgium. 59 Monsanto Technology LLC v. Cefetra BV., Cefetra Feed Service BV, Cefetra Futures BV. and Alfred C. Toepfer International GmbH, CJEU, 6 July 2010, Case No. C-428/08. 60 The Bolar exception stemming from the EU Directive on Medicinal products for human use 2001/83 CE is reflected in Article 6 bis §10, of the Law of 1964 on Medicines. It provides that studies, test and trials carried out in order to obtain marketing authorisation will not be considered a violation of patent and complementary certificate protection. Such an exception allows for generic drug companies to carry out tests in view of obtaining marketing authorisation prior to the expiration of patent (or complementary certificate) protection, so that the generic drug would be ready for market once protection had effectively expired. For more comments, see Campolini & Vernimme ‘Exceptions Bolar et de recherche scientifique- Interpretation de mise en oeuvre en droit Belge’ in IRDI 2015, p. 5–10; for an application cf. Civ. Court of Brussels, 8 April 2008, IRDI 2009, p. 31. 61 UsedSoft GmbH v. Oracle International Corp, CJEU 3 July 2012, case C-128/11. 62 United Video Properties Inc., CJEU, 28 July 2016, Case No. C-57/15.